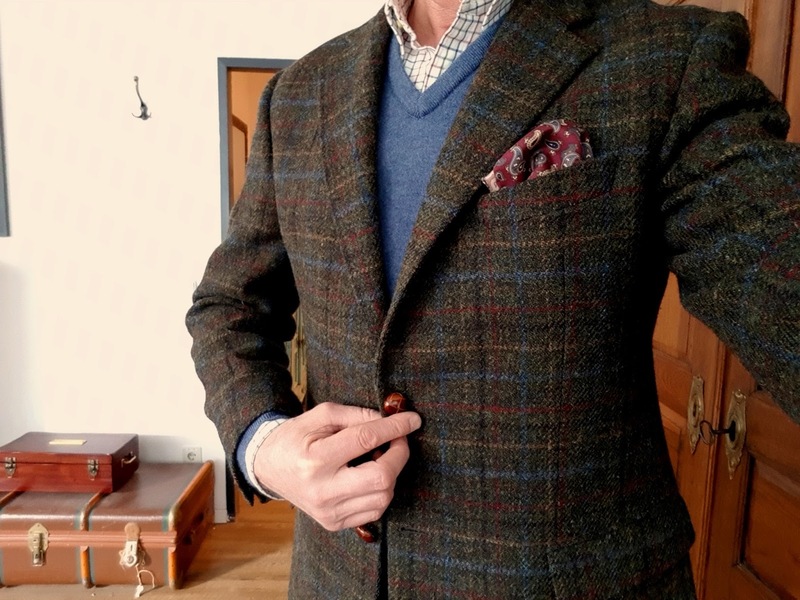 Landless Gentry: Close-Up: Vintage Harris Tweed in Green with Red, Gold, Black and Blue Over Check. Close-Up: Vintage Harris Tweed in Green with Red, Gold, Black and Blue Over Check. Hello Tweed lovers, featured here is a jacket that I have shown in at least one 'Today's Outfit' post and of course, in the header to this blog. However, I've just realized that I've not done a complete review. 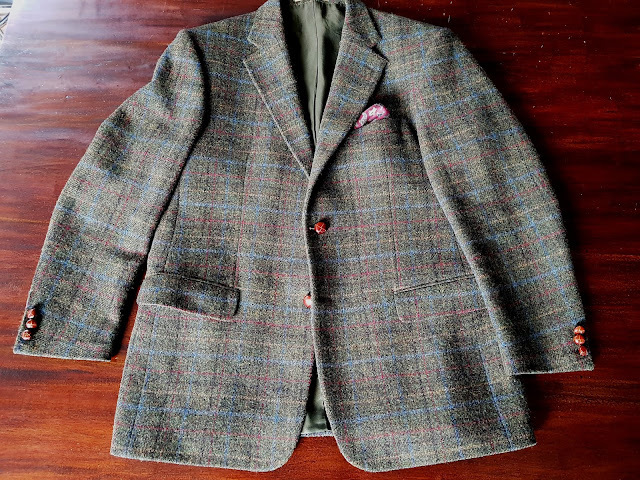 This great looking Harri Tweed jacket is one of my very favorites - green with a nice bold overcheck in Red, Gold, Black, and Blue, it's easy to match especially with a light blue or royal blue sweater and a tie/pocket square with blue and burgundy color scheme. This jacket was an Ebay.co.uk find, which is a great source for pre-owned tweed jackets. 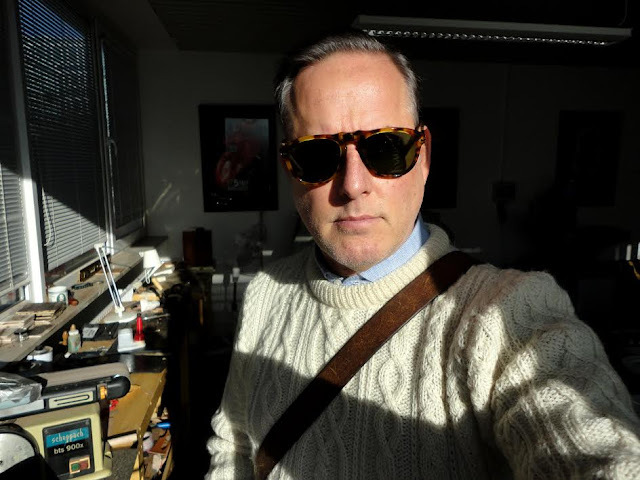 If you are interested in shopping jackets online, I encourage you to read my recommendations in a previous blog post. This Jacket had a perfect fit right off, without any need for tailoring and came with great looking tan leather covered buttons. A perfectly matched pattern on the center back seam and pocket flaps is always a good sign of quality.